Before we can fix your drains, we have to know what’s wrong with them. That’s when our sophisticated CCTV camera technology comes into its own. Before we can fix your drains, we have to know what’s wrong with them. We use CCTV camera technology to survey your drains and diagnose problems quickly and with no disruption to you. We can survey every inch of your drains using our CCTV equipment and instantly see on screen the condition of your drain and identify any problems without having to disturb the ground or your drain pipes. We push a flexible fibre cable through your drain. The cable has a camera at the end which sends a live picture to the monitoring screen. We can use it to see the internals of your drains and provide an accurate detailed report of the condition of your drains. WHAT IF YOU CAN'T USE CCTV? In instances where it is not be possible to get good quality CCTV images we use a sonar probe to record the direction and depth of your drains so if it's necessary to dig we know the exact location of the drain. What happens if my drains are damaged? This is a non-disruptive no-dig repair where we push a new lining inside the existing pipe to seal any cracks or breaks. If a mains water supply becomes unrepairable or a new one is required we can lay a new pipe under the ground without digging a trench. We use a special tool which digs a tunnel enabling a new path for a pipe. Over time pipes can become deformed due to ground settlement or movement. Moling is the method we use to re-round the pipe using a special tool. We then line the pipe to seal it. Re-rounding is only suitable for certain types of pipe. CCTV drain mapping is useful if you are looking to renovate or extend your property, landscape your garden or have no idea where your underground drains and pipework are. We will survey your drains and provide you with an accurate schematic diagram showing all laterals and discharge points. 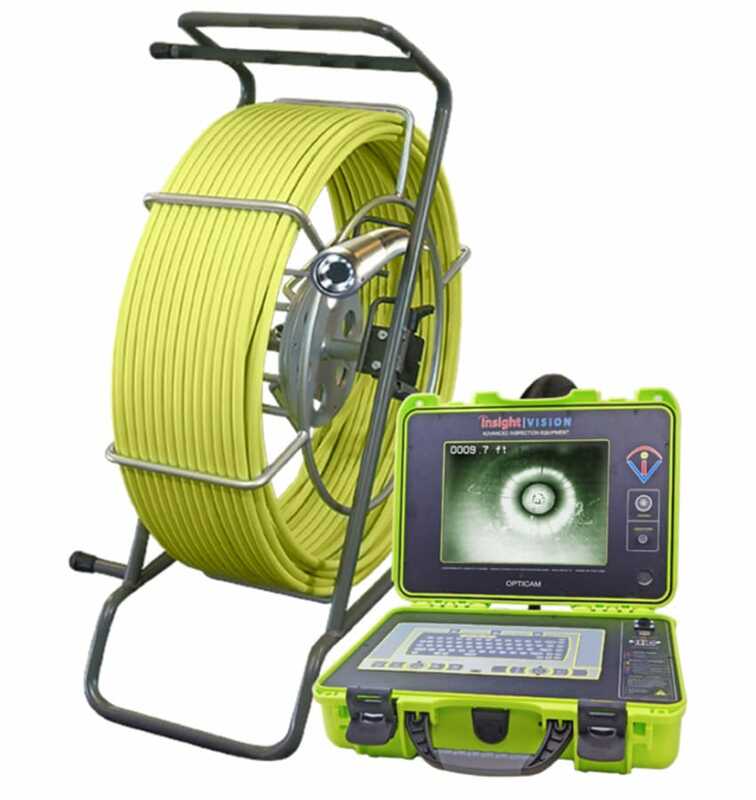 CCTV sewer inspection surveys are used to find faults within your drainage / pipework. We conduct a fault-finding survey and write a detailed report. We will describe faults found such as collapsed/damaged pipework or root penetration. We provide recommendations for remedial work that may be required. We can also record the survey which may prove useful if you claim from your insurance company to cover repair costs. CCTV surveys offer a diagnostic solution which requires the least disruption where issues are underground and beyond inspection chambers and manholes.